WARSAW, Poland — The Serbian Ministry of Defenee is planning to purchase S-300 long-range surface-to-air missile systems and seven Mikoyan MiG-29 fighter jets from Belarus. The deals are to be signed this November during an official visit by Serbian President Aleksandar Vucic to Minsk where he will meet with his Belarusian counterpart, Alexander Lukashenko, a Serbian government source told local daily Tanjug. The value of the planned deal was not disclosed. The planned acquisitions will further increase the Serbian military’s dependence on Soviet- and Russian-built weapons, following the country’s recent acquisition of six MiG-29s from Moscow. 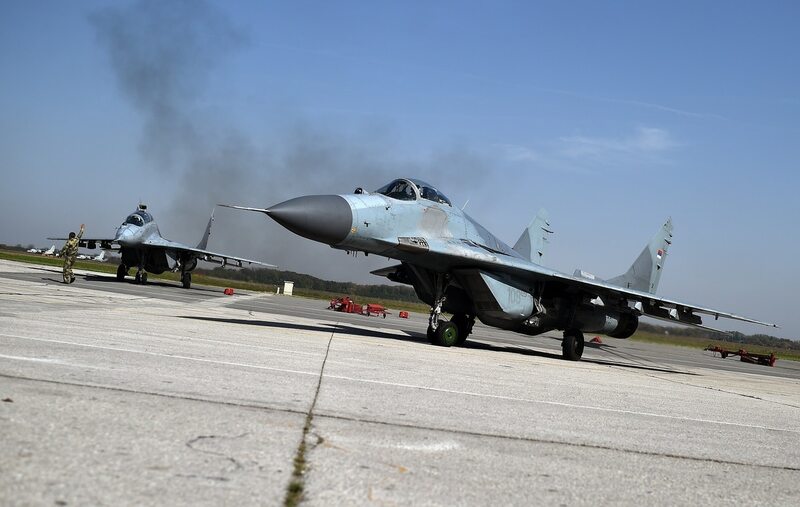 Russia handed over the used aircraft for free, but Serbia will be required to overhaul the fighter jets. The latest development accompanies efforts by neighboring Croatia to purchase up to 18 new fighter jets, with the F-16 and Saab JAS 39 Gripen shortlisted by the Croatian Ministry of Defence earlier this month. Zagreb plans to replace its outdated, Soviet-built MiG-21 fighters. Under the plan, the first aircraft are to be delivered to the Croatian Air Force by late 2020.